If you want to make your party memorable, count on us! 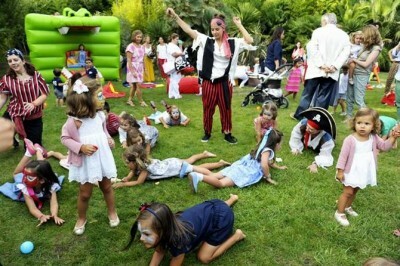 Our Kids Themed Parties brings you the best activities you can think of to entertain your kids. We have everything your little one ever wished for, so tell us what kind of party he would like, and we will make it come to life. From Princesses, Superheroes, Dinosaurs, Animals, Pirates, Cowboys and Disney’s Cartoon Parties to Sport Party themes, Halloween Parties, Christmas and Easter events, we have everything you ever dreamt of! 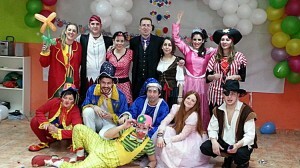 Check for more details and I assure you: you will have the best children’s themed parties ever! Our kids themed parties are carefully planned to make your kid’s day fun, brilliant, unforgettable, and memorable! You can hire one of our themed children’s party entertainment package or you can just hire one of your kid’s favourite character. If you are planning a corporate event, a weeding, communion, community party or a festival, let us know and our childrens party entertainers will make it outstanding! The following are some of the Kids themed parties we have to offer you. Also we present you the themed parties with huge success among the kids from the latest times. It’s impossible for us to name all the themes here, so if you don’t find what you are looking for contact us: Your wishes are our command! We have professional children’s entertainers on each party entertainment packages to guarantee the quality and fun of your children’s themed parties. And guess what! With fantastic prices considering your wallet’s health! 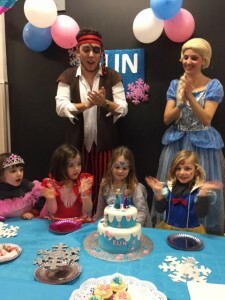 FROZEN PARTY – Frozen movie is huge famous among the kids and all of them will love to play with Elsa and her sister Anna bringing winter to your kids themed parties. Don’t listen to others, just look at your kid’s face when he is watching Frozen movie… You will have all the answers you need. 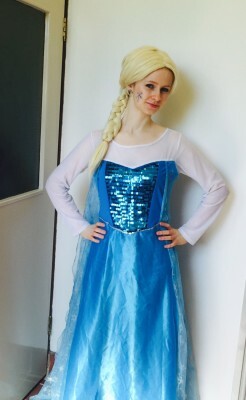 If you want some help on planning it or if you just want to hire our Frozen Princesses contact us! We’ll be pleased to help you getting the most brilliant party you have ever seen! SUPERHERO PARTY – If you are going to have a Kids Themed Parties for boys then this is a perfect chance to make it perfect! What better than saving a princess in distress to make your kids feel special? When you hire our Superheroes entertainers you are bringing to your kids all our experience to show them everything they want, from little details to becoming into a real superhero. Imagine fights with balloon swords, face painting, dancing, games, we can make it all come true! You can also hire many superheroes’ characters, such as Spiderman and Batman, and you can have more details and information contacting us. What are you waiting for? CLOWN PARTY – Imagine silly clowns throwing themselves to the floor and making funny faces in the air, fun right? Children will cry from laughing so hard! And there is nothing better than our kids’ smile. 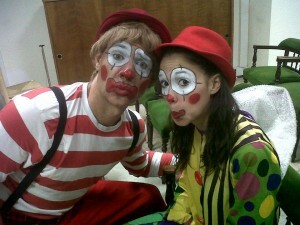 Our Clowns for hire will make your themed parties the funniest kids themed parties ever. I’m sure you never had this much fun in your whole life! PIRATE PARTY – Do you want an adventurous, fun themed birthday party? Then it must have pirates!. A lot of energy games , songs, magic, dancing and many treasure hunts are waiting for you. You can also hire our Princesses and make your kids themed parties the best themed birthday party ever! PRINCESS PARTY – If you are thinking about outstanding children’s themed parties for little girls it is the best option you have! Give them the glamour of a Princess Party with our Princesses that will give your little girls glittery make up, royal dancing and a lot of other fun activities! AEIOU Kids Party is the right place to make all your dreams come true! 1ST BIRTHDAY PARTY – The first birthday party is indeed the most important one, and we know how stressful it can be, but don’t worry! We can make guests from all ages have fun and spend a great time together celebrating your baby’s 1st birthday party. Contact us for more information! CHRISTMAS PARTY – Ho-Ho-Ho! Merry Christmas! We have so many Christmas themed activities that we can’t count them! 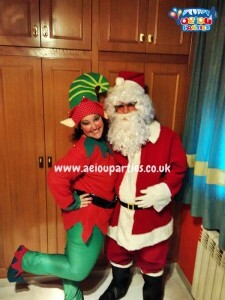 Our Elves will literally Let it Snow and Rudolph will make your party even more special! Feeling like a Christmas party during the summer? Don’t worry! Our Santa Claus can visit you anytime of the year! HALLOWEEN PARTY – Trick or Treat?! Your kids will be really scary with face painting and dancing the choreography of the famous Thriller music of Michael Jackson! Do not hesitate and book your party in October so you can have a bonus: gooey science tricks! FAIRY PARTY – Fairy games, dancing and a lot of bubbles at our kids themed parties! This is what you have to offer you! 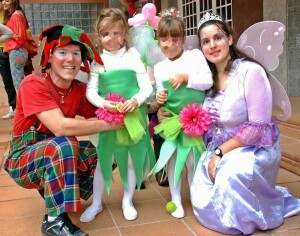 A delicate party with our little fairies who bring magic into your home. DISCO PARTY – Are you ready to have a good time? If your kids love to dance, this theme party is perfect for them! We have choreographies for the biggest music hits to make your kids shine bright on the dance floor. Amusement is guaranteed in this disco themed party, and we also have glittery make up to highlight the kids natural beauty! GIRLS PARTY – Give your little daughter a day especially prepared for her. Glitter, songs, and all flooded with any theme your girl has always Dreamt of! SCIENCE PARTY – Science Party is great if you are thinking about kids themed parties that give children the chance to learn without they even noticing! We have a great educational science show which includes participating in the construction of an erupting volcano, explosions and guess what! A lot of mess! BOYS PARTY – We didn’t forget about boys! With our kids themed parties they can have a fantastic day with a lot of adventure, active, energetic and exciting games to make their day the best of the year! MINNIE MOUSE PARTY – Minnie and Mickey Mouse already made part of our dreams. In fact these characters got all of us in love at first sight! These characters will make your themed party be just astounding with some face painting, games and more. PEPPA PIG PARTY – Peppa, George, Mommy and Daddy Pig are ready to make your children themed party really great. We prepared you some peppa pig games, muddy puddle jumping and a visit of one of their favourite character in the end of kids themed parties! PAMPER PARTY – Another girls’ party? YEAH! We reserved them everything they always have dreamt of! Pampering with nails, hair, make up, giggling, chatting, some fashion dancing and our Catwalk Show! HARRY POTTER PARTY – Harry Potter and his friends are part of our imagination for so many years! Enter the Hogwarts world and meet the main characters of this story. Magic stories and muggle’s tricks are waiting for you! KIDS BIRTHDAY PARTY – You are going to have a kids birthday party? We are experts on kid’s birthday party themes! We have lots of options to make your children birthday party the best of all, never forgetting your son or daughter is the star of the day! 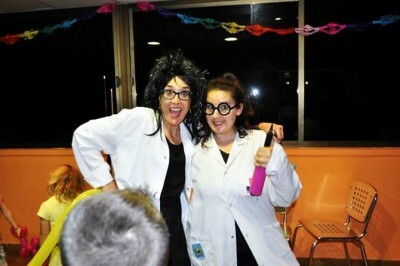 Contact us and hire one of our Kids Themed Parties and I assure you it will be DE-LI-CI-OUS! EASTER EGG SEARCH – What if we teach your kids how to prepare Easter Eggs? An excellent workshop followed by searching for hidden eggs and glittery face painting. We have so many Themed birthday parties that it is impossible for us name all of them. Besides we have lots of options you can still combine many of them and hire infinite characters in order to make your children themed birthday party unique. Tell us what you want and we are going to make every effort to make all your wishes come true. We also can suggest some good activities according to your hopes and we will be able to help you to make your kids party entertainment unforgettable. We also have a fantastic dinosaur themed party with Jurassic park decorations, and wild west and cowboys themed parties to bring to your party all your kids’ dreams. Apart of it we also have to offer you an animal party which includes petting zoo party, reptile party and pony party. We have already prepared outstanding parties like Harry Potter kids themed parties with some main characters of the story like Hermione Granger and Dumbledore; Puppets and storytelling sessions counting with Mickey, Minnie and Rapunzel visit, and many other kids themed parties. Your wish is our command and we do everything to plan the best of all Kids Themed Parties Ever with signature of AEIOU Kids Club!